2 Sketches 4 You - #38 - Happy Halloween! 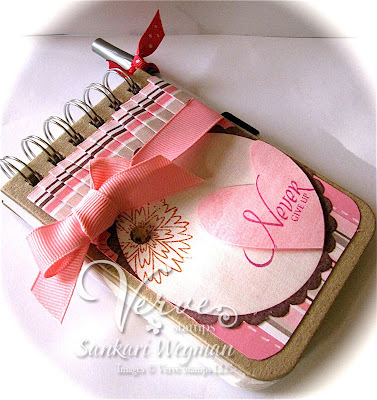 I had a lot of fun making this card - and love this fantabulous sketch!!! THank you so much Regina for sponsoring 2S4U!!! And big hugs to the ladies who are leaving the 2S4UDT :( Please hop on over to their blogs and leave them some love!! They are simply FABULOUS!!! Love you ladies - wishing you all love and happiness in all that you do!!! Please hop on over to 2 Sketches 4 You where you can read more about these wonderful ladies and check out all the projects together! Thanks for stopping by here today!! Sending you all lots of happy hugs! 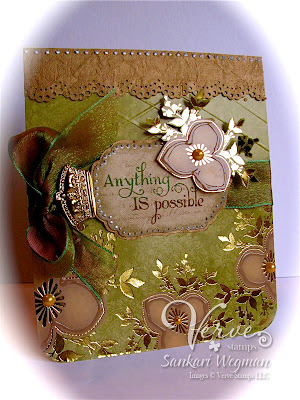 Good Morning Everyone and Welcome to the Believe Blog Hop by Verve Stamps! If you’ve just happened across my blog, you’ll want to start back at the beginning over at Julee's Blog (http://poeticartistry.blogspot.com) and hop your way along. 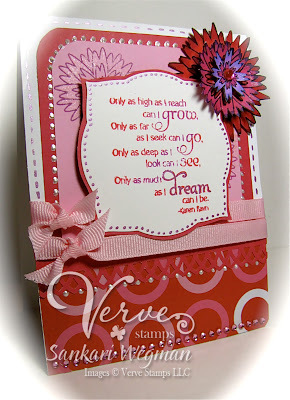 Today we’re hopping for the Cure, sharing projects from a new set Verve just released called Believe. This set was designed in honor of breast cancer awareness and Verve is donating $10 from the sale of every Believe set to the Susan G Komen For the Cure foundation. We believe that we can make a difference. We believe that each day should be celebrated, each moment cherished and that every little thing we can do in the fight to find a cure matters. I made two projects today. One is a little notebook and notepaper holder. The Notepaper holder has the sentiment: "Believe in Miracles" and "Survivor" on the side and the Notebook has the sentiment: "Never Give Up" on the front. 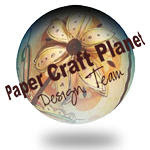 Paper: Digital: All are from the Sweet Shoppe Designs store and from the kit: This One's For the Girls by Heather Roseli, Krystal Hartley and Mandabean. Ink: Memento Lilac, Stamps: Believe by Verve, Accessories: Notepaper holder and Notebook, pen, ribbon from stash, Kaiser bling, dimnesionals, sticky tape. Paper: from stash. Ink: Memento Ladybug red and Lilac, Stamps: Believe by Verve, Accessories: liquid pearls, corner chomper, spellbinders, ribbon from stash, copics, glitter, dimensionals. Thanks for hopping by! Next up on the hop is the fabulous Susan!!! Oh, and we’ve got a special gift hidden along our hop for one lucky commenter, so if you see something you really love, give a little shout out and you just might win a $30 gift certificate to Verve! Thanks so much for stopping by today!! Hope your weekend is fantastic!!! Guess what!?! 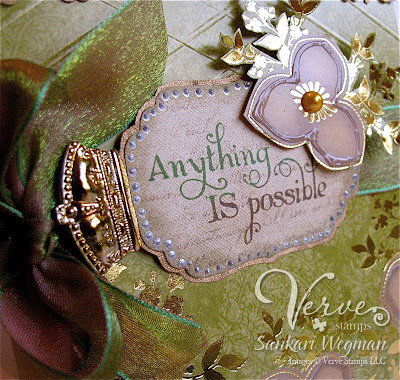 Its release week over at Verve Stamps and this month's release is absolutely amazing!!! Seriously, awesome! 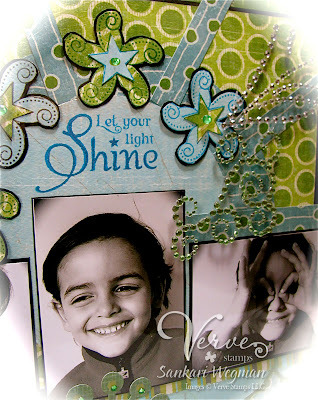 Julee has created sentiments and images for all kinds of holiday card making and beyond!!! 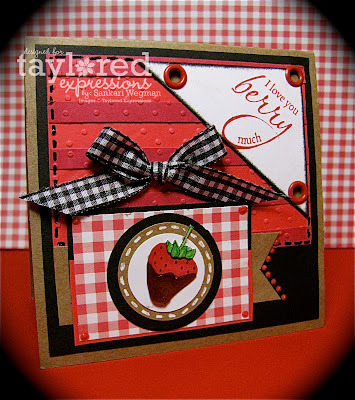 If you haven't yet seen the sneak peeks over at the Verve stamps blog that have already gone up on Tuesday and Wednesday - make sure you check each mouth watering sample out here! And today, Jackie Pedro, Jen Tapler, Jen del Muro, Jessie Rone and I are sneaking some peeks from two stamp sets that we are peeking today: Christmas in the Air and Holly Jolly. Accessories: Inkessentials gel pen, candy dots, flower from BoBunny, Martha Stewart punch, rhinestones from Kaiser, ribbon from stash. I stamped the four snowflakes and then colored them with copics and then glittered them and cut them out, adding dimensionals when layering them. I kept the colors monochromatic and simple so that the focus would be on the center of winter's snowflake flower :). I absolutely LOVE each and every single image in this set! I am so not a winter girl (can't handle the cold) but I can't wait for some winter wonderland after using this stamp set!!! Hot cocoa anyone?? :) LOL! See you at the release party Friday night (9PM EST) for more details of the par-taay and how to win some of these AMAZING stamps - check out more details here!!! 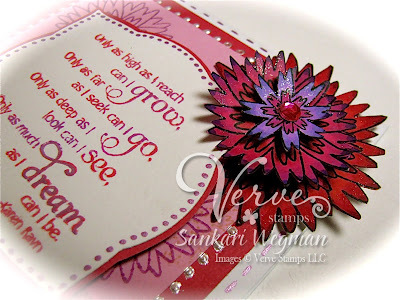 Thanks for stopping by here and hop on over to the Verve Stamps blog for a whole lot of sneak peeks from the Divas!!! 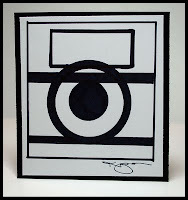 2. upload it to the photo album gallery at Paper Craft Planet with the tag SB2009. 3. All uploads must be completed by 11:59 PM EST on Sunday, Oct. 25th, from which random numbers will be selected to be eligvile for some awesome prizes: Check out these awesome prize packages that you could win just by making a birthday card and uploading to PCP!!! How YUMMY is that party favor box!!?! Well, I wanted to make SB something special and that's where Tom Selleck comes in (Jen Tapler if you are reading this, your Tom Sellect Valentine is still coming but you might only get it for 2010's Vday, lol! :). Susanna loves Tom Selleck! and so I wanted to create a little birthday something with Tom in it :) So I created a little scrapbook page for her using this week's Scrappy Sunday sketch challenge by Jen for the layout and used the awesome digital kit from the Sweet Shoppe Designs called: Cinemania by Lauren Grier and MandaBean. I have to say that these digital kits are awesome - there are so many and I just get lost looking at each yummy one!!! This is my first full digi set and I can't wait to print it out and add some final embellishments (yes, liquid pearls, lol!) Be sure to stop by Paper Craft Planet and check out this discussion in the forum for all the details regarding Susanna's birthday celebration! You could win all of the yummy products by making a bday card - so join in the fun! Happy Birthday dearest Susanna!!! Hope you have the best day ever!!! You seriously are beyond AWESOME!!!! Sending you big bday hugs! And big hugs and thanks to all of you for stopping in! October 20th Key Ingredients are Here!!!! 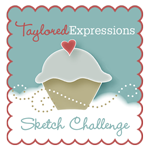 Today is the 20th of October and that means its time for another Key Ingredient's Challenge from Taylored Expressions. For those of you who are not familliar with these kits, every month, Taylor creates an awesome kit - full of Designer paper, coordinating cardstock, ribbon and embellishments - its such a great way to make cards - because everything you need is in one kit and now Taylored Expressions is now offering a monthly charge prgram - so that menas that instead of paying for all 3 or 6 month upfront, now their will be a charge every month on the 15th of each month of their subscription - so for example the 6 month program is $14.95 a month plus shipping! Now that is total YUMMINESS! For the October 20, Key Ingredients challenge, we are so excited to work with some maya mist, chipboard and yummy papers!!! The DP is from the Cosmo Cricket line: Earth love and comes with coordinating Prism cardstock, coordinating ribbon, a ton of maya chipboard birdies and yummy Maya Mist (one tip is to make sure you tap the mister on your palm before spritzing the mist onto your project). Accessories: dimensionals, liquid glaze pens from Sakura, Martha heart punches, Corner chomper, buttons from stash, EK success punch, bling from stash, Frame your Imagination Vertical Stand. Thanks for visiting my blog!!! Hope you are having a fabu Tuesday!!! 2 Sketches 4 You -Laura's Sketch #37 - Eat Drink and be Scary! Monday brings us another awesome sketch from the lovely Laura at 2 Sketches 4 You, where this week the sponsor is Creative Cuts and More. 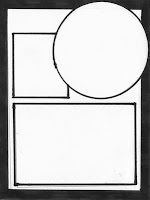 They have premade templates and die cut cards already to go - so its a simple piece of cake to put together a project. This week for the sketch, I used one of their coffin templates to create this little favor box full of yummy Halloween treats :). I had fun adapting the sketch to a 3D element :) Before I adhered the sides of the coffin together, I traced around a DP and then cut the image to fit ontop of the cofffin favor box. And then I used adhered the sentiments finished it off with some fibrous ribbon for a little extra effect. And the last touch was adding the blueberry candycorn - its true -they do make blueberry candy corn - and they are yummy! I had a lot of fun with this sketch and hope that you will give it a whirl this week! A big thanks to Creative Cuts for sponsoring this week - you have to check out 2 Sketches 4 You to see all the yummies that you could win and also to see the wonderful projects by the Design Team!!! Hope your monday starts a fabulous week! Happy Monday! 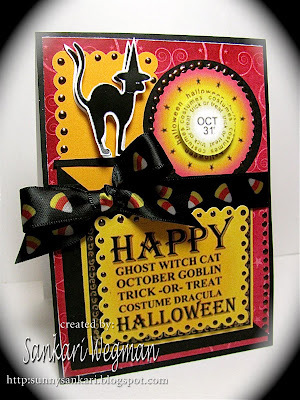 Another monday - another holiday challenge from the Christmas Stamping All Year Long blog, where today I am the hostess, yay!! As we get closer to Christmas, I thought it would be fun to do something a little different this week and create some tags for our gifts, presents, etc. :) So the challenge is to create at least 3 tags (they can be the same or different) :). Every year I have wanted to make tags for our xmas presents - so I am happy to get a good start. So here is the challenge for you = create 3 tags (they don't have to be the same) and f you would still like to create a card instead of a tag - you could always create a card with a tag in it :) Check out the awesome cards the DT made for this challenge here! We would love it if you would play along so - hop on because - Tag, you are it!!! lol! Can't wait to see your tagged creations!!! Have fun!!! This week over at Cinema Saturday Creative Challenge, we have a special guest designer: Taylor VanBruggen!!! And her pick for this week's movie is: Finding Nemo! Taylor is offering AWESOME blog candy this week: YOUR choice of any of the new stamp sets for the holidays that were just released!!! Thank you Taylor! 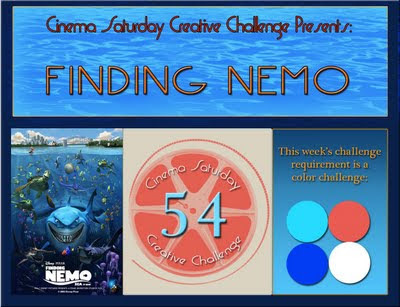 I am so excited to play along for this challenge - I love this movie but I was really stumped for what to make and then I thought about the different themes of the movie: father/son, friendship, finding courage, letting go etc. and the one theme that I loved was just the essence of the father and son relationship that through everything their love was for "always". Marlin's adventure to find his son Nemo is so amazing and inspirational - that no matter what the odds, you will do anything and overcome anything for love! 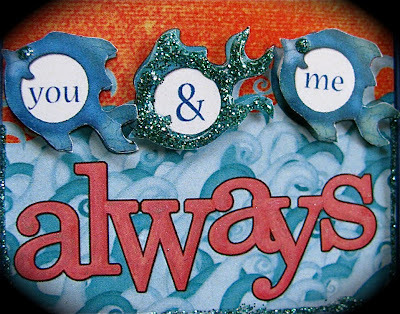 I was inspired by the journey and so I created a card with little fishes jumping out of the ocean with the words "me and you - always" for the sentiment. I had so much fun playing along. 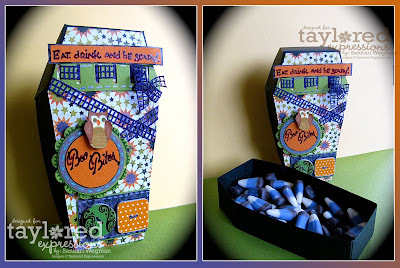 A huge thank you to Taylor for the yummy blog candy and for being our guest designer! Please check out the Cinema Saturday blog for more details on how to score some delicious holiday boooooty!!! Woot! 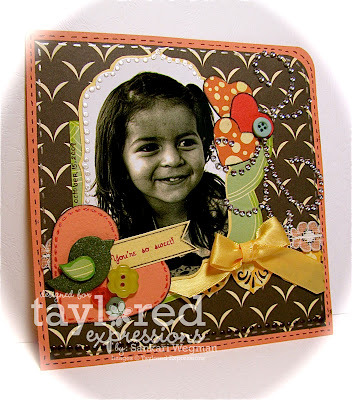 Merry Mass Production Blog Hop from Taylored Expressions! 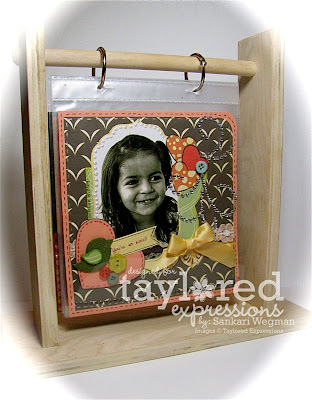 Today the Taylored Expressions Baker's Dozen DT is going to offer some quick and easy ideas for cards that you can mass produce for the holidays!!! As the holiday's approach, its always kinda crazy to mass produce christmas cards, bake holiday yummies for the kids christmas holiday parties, shopping, wrapping and all the things in between :) So we are providing some ideas for super quick and easy christmas cards to mass produce. 2. After cutting out two strips from two different DP, I punched out one of the strips with a border edger. 3. I stamped 4 sentiments in Rose Red and then cut it out with 4 labels with spellbinders and matted it. 4. I stamped the sweet little birdie and colored him with copics and then adhered him to the top of the label and then stamped the ornament and then colored it in with some copics and spica glitter. Thanks so much for hopping on over here today! Today brings another awesome sketch from the lovely ladies at 2 Sketches 4 you - which this week is being sponsored by Just Rite Stamps. This is sketch #37 from Kazan and I can't even tell you how much I love this sketch! The first time I saw it - I was like "Wow"! what a cool sketch - and then I was like.... hmmmmm.... what am I going to do??? ack! I actually made a different card with a different circle element - but I didn't end up liking it - so I kept that aside for later. I created this mini snow globe-y card instead. 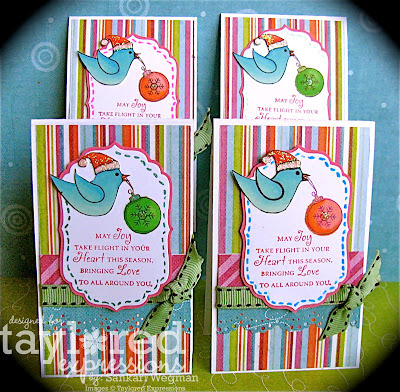 I used the Just Rite Stamps: Old Fashioned Christmas Borders and Centers for the sweet image of the snowmen feeding the birds and the sentiment is from the Something Sweet Borders and Centers. The snowglobe is a clear favor circle/bubble fromTaylored Expressions and I stamped the snowmen, colored them with copics and then cut them out and placed them and adhered them to the inside circle of the favor circle. 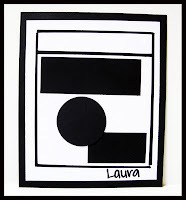 Then I adhered the papers to the card and cut out a circle for the favor to pop out of . Then I put the top of the circle on and adhered it with some tombow and then covered it with the papers with the circle part that was cut out, easily slipping over the clear globe. The sentiment was stamped and then cut out with spellbinders and then after card was "done", I pleated the ribbon around the snowglobe (using the sticky tape and some tombow). and then of course - I had to add some liquid pearls :) lol! I am seriously loving these My Mind's Eye papers - they are so fun and bright and merry!!! 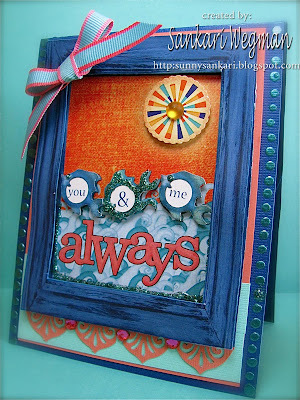 I had SO much fun making this card and I loved playing with my Just Rite stamps with Kazan's awesome sketch. I hope you have a chance to join us this week - there are some yummy goodies involved!!! For more details and to check out the amazing creations from the design team, head on over to 2 Sketches 4 You. Stay warm and big hugs!! 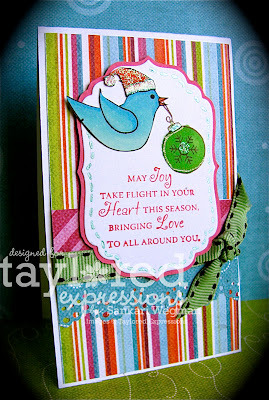 It's Monday and that means its time for another holiday Monday card from the Christmas Stampin' All Year Long blog. This week, Maria is our hostess with an awesome sketch challenge. 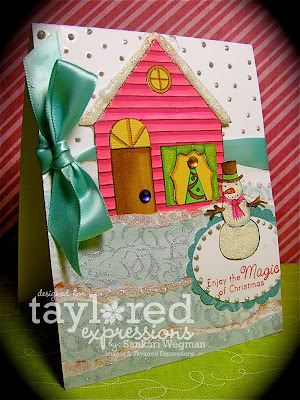 I used the newly released Holiday Wonder Set from Taylored Expressions . I am so psyched to add another holiday card to my stash. I am so psyched to be part of the Christmas Stampin' All Year Long group - because its given me a chance to create a card through the year - and now I can't believe that this year is coming to a close... wow! how quickly time flies!! 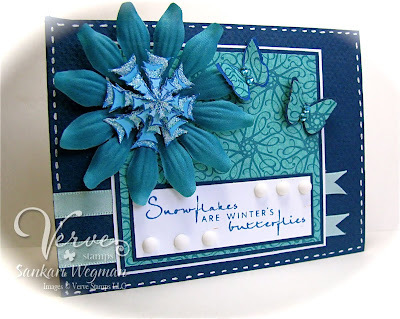 We would love for you to play along with the challenge this week - you can stop by the Christmas Stampin' All Year Long blog for more details and also check out the wonderful smasy creations!! Thanks for stopping by my blog this morning! Big Hugs! Here is a close up of the sentiment: "Let Your Light Shine". After I added the Acrylic Mat on top of the layout, I added some bling over the acrylic mat board. 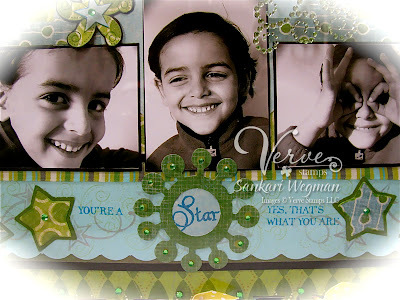 Here is another close up shot of the the sentiment lining the bottom - "You're a Star, Yes That's What You Are." Accessories: star punch from CM, corner rounder, corner chomper, bling from Kaiser, ribbon from Taylored Expressions, acrylic matboard and cut out for layout from Acu-Cut templates. 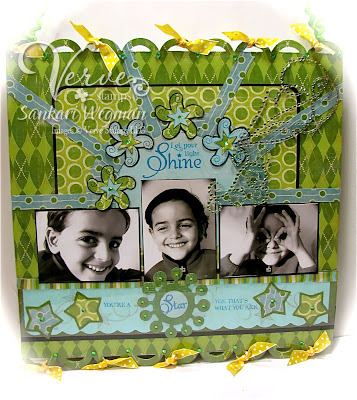 Check Out all the amazing projects for the Verve project parade for the Encouraging Words challenge on the Verve blog and take the challenge yourself where you can win a Verve set!! For more details - check it out here! Thanks so much for visiting my blog today!!! 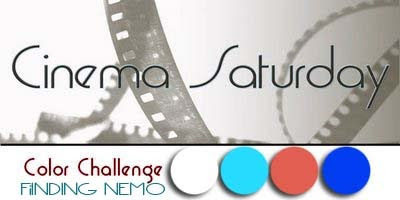 Welcome to our 53rd movie challenge over at Cinema Saturday Creative Challenge where every Saturday, we pick a movie and create something (card, scrapbook layout - anything - that is inspired by the movie). 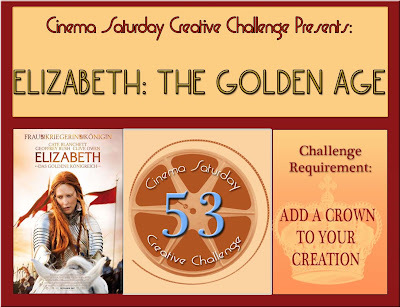 This week we are featuring the 2007 Oscar winning movie: Elizabeth the Golden Age with Oscar nominated actress Cate Blanchett. 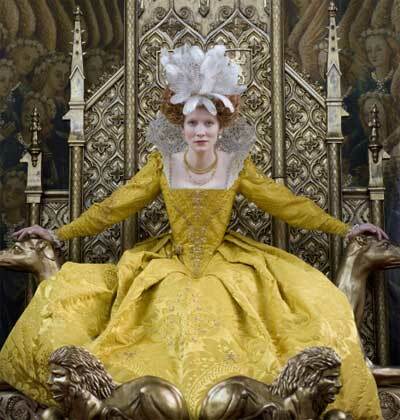 This is an AMAZING movie full of amazing color, amazing costumes, amazing cinematography about the rule of the Virgin Queen: Elizabeth. For this movie challenge - you can play with either this movie or its prequel: Elizabeth (another amazing movie with amazing cinematography!). According to Wikipedia, this movie: Elizabeth: The Golden Age "won the Academy Award for Best Costume Design and Cate Blanchett received an Academy Award nomination for Best Actress. Blanchett was an Oscar nominee for Best Actress for Elizabeth as well." We hope you enjoy playing along with this challenge! she created possibilities and roles that were not thought possible at the time. I hope you have a chance to play along with us this week!!! Can't wait to see your royal creations!! Next week we have a very special guest designer joining us - along with a very fun movie!! Stay tuned and see you at the movies!!! 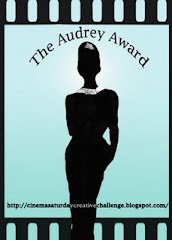 Please check out the Cinema Saturday Creative Challenge site for more details!! Big hugs and a huge thanks for stopping by and saying hello! Wow - I can't believe that it is Friday - the last few days have been so busy and each day has been one late night after another - I wish I could say it was crafting but it was all the things that I have been putting off doing that I finally had to do.... and so I was so excited last night that I had a moment to craft :) yippeeeee! 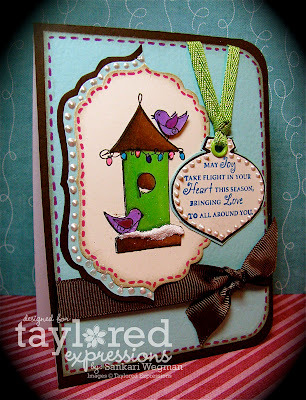 I couldn't wait to use Taylor's newest set: Wings of Joy and used the color combos from this week's color challenge from Debbie at the Christmas Stamping all Year Long blog :) I adore adore these sweet little birdies perched on their birdhouse and the sentiment: "May Joy take flight in your heart this season, bringing Love to all around you." Ink: Ruby Red from SU! Hope that you are having a happy friday and are happy to get your weekend groove started!! !